PLuGHiTz Live has had the pleasure of attending the Collision Conference since 2015. In that time, we have seen the conference change significantly. It has changed locations, starting in Las Vegas, Nevada, moving to New Orleans, Louisiana, and moving once again to Toronto, Ontario, Canada for the 2019 show. We've also seen the event grow in size: in 2015, the event was 2 days and housed in a pair of permanent tents in the Nevada desert. This year, we experienced 3 days of exhibits in a large slice of an even larger convention center. 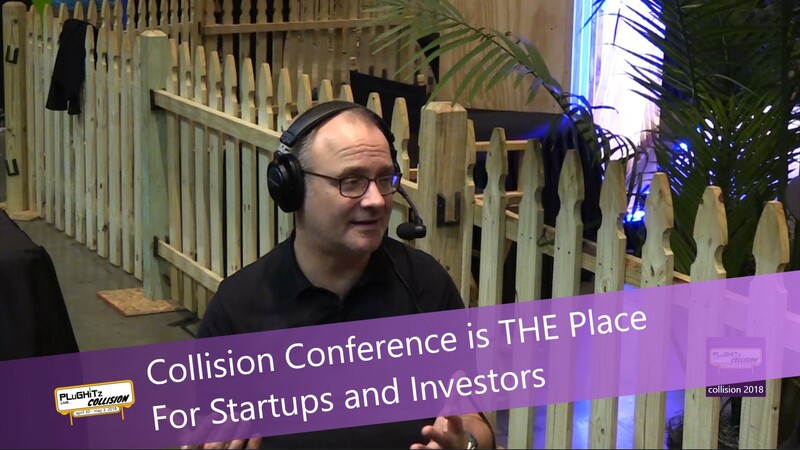 We also had the opportunity to speak with Mike Harvey, the head of strategic communications for Collision Conference, as well as its big sister, Web Summit. Most importantly, we have gotten to see the organization itself grow. While some people have come and gone, the core group has stayed the same. However, the team gets bigger every year and, with that, comes more confidence. Like any convention or conference, the team gets more comfortable with what they are doing every time, and with Collision, it has shown. That confidence has even grown beyond their walls, with the startup industry gaining confidence in the show. Of course, the industry's acceptance of the show has meant that more companies want to be part of the fun every year. Because of that, the Collision team had the ability to curate the content better this year than any prior year. While 2015 was filled with "mad scientist" level startup pitches, today the show is filled with companies with an idea, a product, and a clear vision for their future. The show has definitely solidified itself as the place to be for serious startups, investors, media, and industry insiders. Collision Conference is already looking for exhibitors for their 2019 show, and more information can be found on their website.